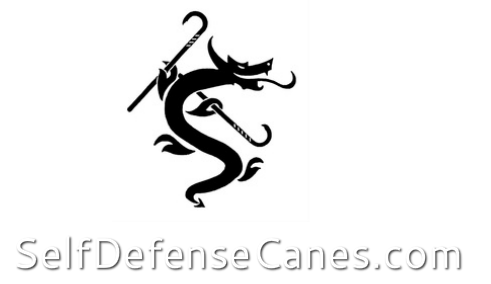 Cane Fu is the use of a cane for rehabilitation, exercise, and self defense. The cane is over 5,000 years old, and a tool that you can carry any where. of exercise and self defense. weapons, specifically training to defend yourself. The “best” weapon for self defense is the one that is in your hand when you need it! Any old cane can be used as a walking stick, a cane fu style cane has several specific features that make it more suitable for use in defending one’s self, or for exercise. While a medical cane may be a light weight aluminum cane, a martial arts cane is usually made of wood. oak, ash, hickory, crocus, or rattan. 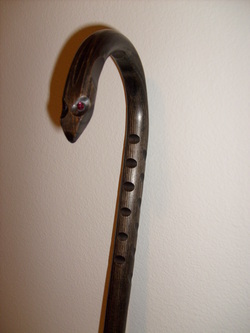 The “COMBAT” Cane is a cane with several unique features making it more suitable for active martial arts use. Training canes are made of rattan, and are light and flexible. Self defense canes usually have a thicker shaft to defend against some mugger hitting you with a pipe or baseball bat! A cane with about a one inch shaft is a good all purpose cane. Thicker shafts allow for shaping of the shaft, both for use on pressure points as well as decoration. Remember, the best self defense weapon is the one that you have in your hand when you need it.